Food, Wine, and Miles: Lucky Me! Despite my obsession with points and miles, I pretty much never enter random-draw / sweepstakes-like promotions - the odds are often long, and it just never seem to be worth the effort. For some reason, I decided to give it a go on the past few promotions that I saw pop up, and much to my surprise, I actually won! Twice! First, was courtesy of a travel goodies giveaway over at the Frugal Travel Guy. I won one of the SPG 50% off RACK rate vouchers - while it sounds like a great deal (50% off woohoo!!! ), the reality is that Starwood's RACK rate is usually obscenely high (it's that price on the back of the door at your hotel that you assume no one ever pays anything close to). Sometimes 50% off that number comes in at less than the best available rate, sometimes it doesn't, but I'm pretty sure I'll be able to put the certificate to good use. Next was a promotion that Hawaiian Airlines is running to drive attention to their new direct flight between Honolulu and JFK. 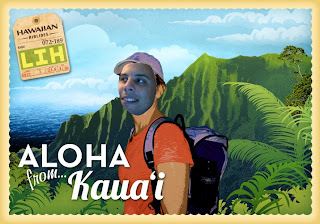 You basically had to upload a picture of yourself, and insert it into a pre-made postcard. They're giving away a weekly prize of 10,000 miles (I was the first weekly winner), and the grand prize is 80,000 miles (enough for 2 round-trip tickets from the mainland to Hawaii). Yes, I sold my pride for 10,000 miles (is anyone surprised?). 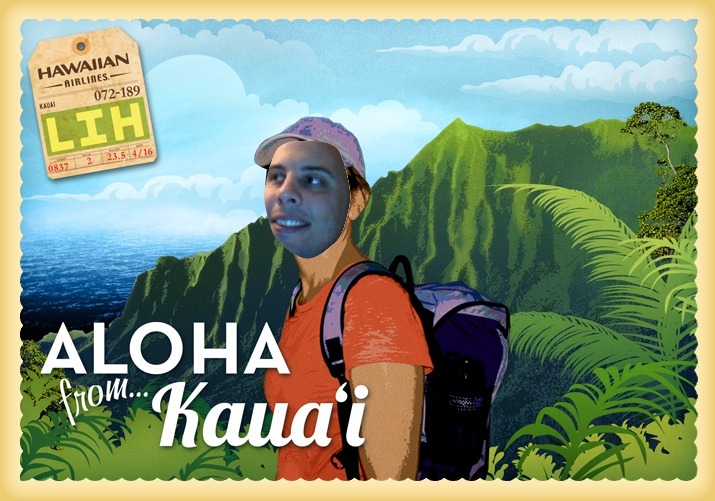 If you're feeling lucky, you can enter at http://alohafrom.net/.